Our Web Development Team works hard to understand our clients, the goals they have for the future, what their audience is searching for and what sets you apart from your competition. We take all of this information and strategically plan your new website to meet all your needs as well as your audiences. Our award-winning team will clearly communicate your message in an easy-to-find format that will work across media platforms and is optimized for search engine ranking. Ethan Jacob Scott & Associates strives to be a valuable part of your marketing team; we are successful when our clients are successful. 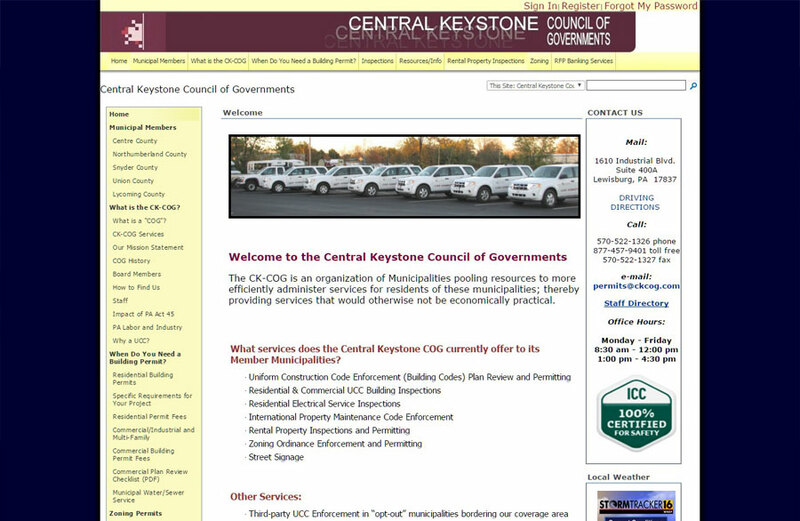 Visit https://www.ckcog.com to see the full Central Keystone Council of Governments website designed and developed by Ethan Jacob Scott & Associates. EJS starts each project by researching the audience, the most important information, and ideas for additional features that will improve the client’s current website. We meet with clients to lay out a site strategy that successfully communicates the client’s purpose, goals and information in a manner that optimizes user experience. The first impression of your company will be impacted by the photos used. EJS provides photography services if needed or will work to find the right stock photography to communicate your message clearly and professionally. EJS has award-winning web designers on staff. We take the time with each client to understand their design style as well as their industry so we can provide clean, modern designs that work across desktops, laptops, tablets and phones. 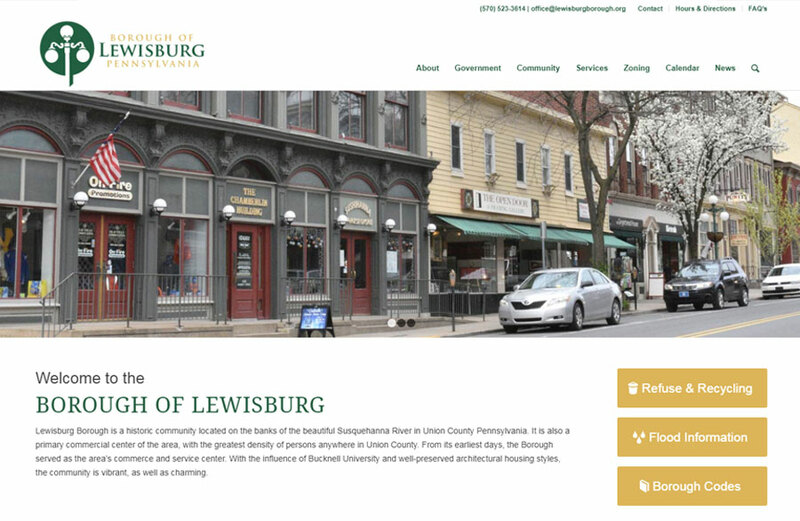 The Selinsgrove Borough website won first place in the 5,001-7,500 Population category. 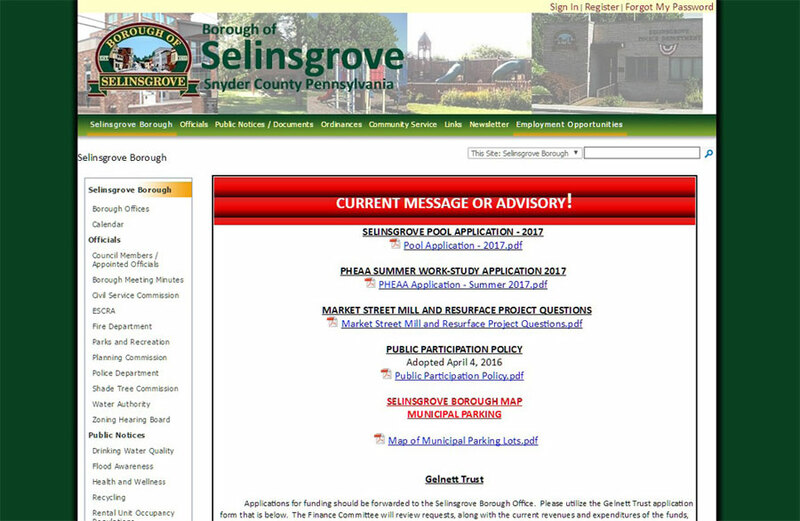 Visit http://www.selinsgrove.org to see the full Selinsgrove Borough website designed and developed by Ethan Jacob Scott & Associates. 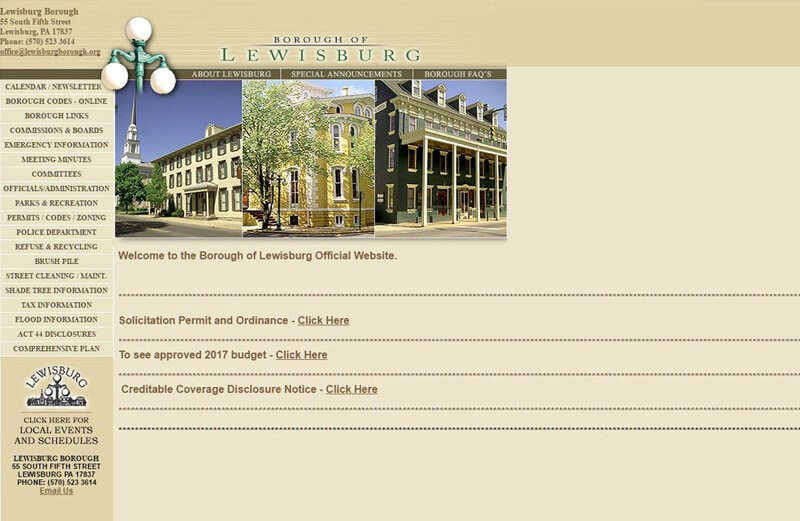 Visit https://www.lewisburgborough.org to see the full Lewisburg Borough website designed and developed by Ethan Jacob Scott & Associates. EJS develops websites in multiple platforms including WordPress and Joomla. We provide ecommerce capabilities, password protected dealer portals, custom plugins and extensions – everything you need to make your website work for you. Modern websites need to have optimized images, search engine optimization and performance optimization to compete on the web. EJS will help your site get noticed and rank higher in search engine results. The Timberhaven Log Home website won a first place award. 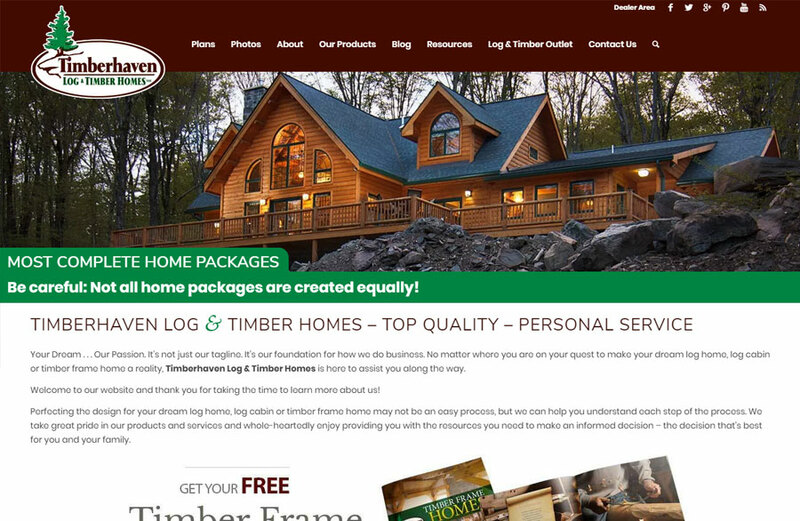 EJS created a log home plan search as well as a dealer portal for Timberhaven. Visit https://www.timberhavenloghomes.com to see the full Timberhaven Log Home website designed and developed by Ethan Jacob Scott & Associates. The Country Farm & Home website is an eCommerce website. The site was designed to allow the client to manage the products, inventory and specials as well as the site content. 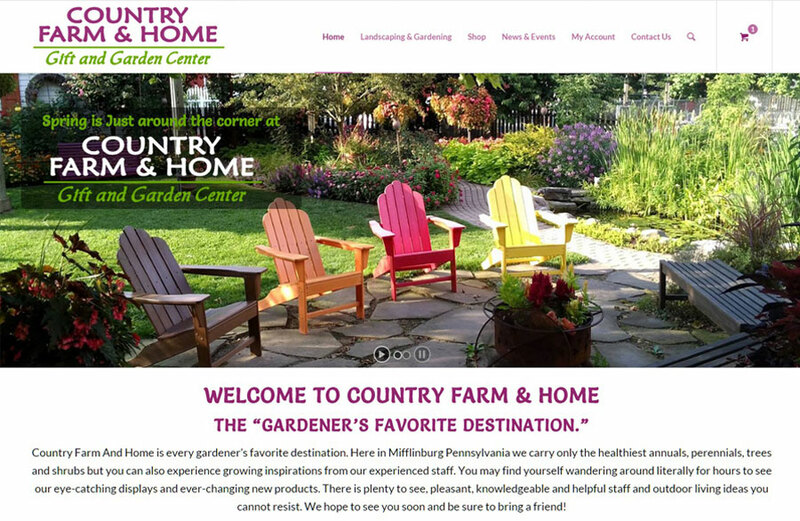 Visit https://www.countryfarmandhome.net to see the full Country Farm & Home website designed and developed by Ethan Jacob Scott & Associates. 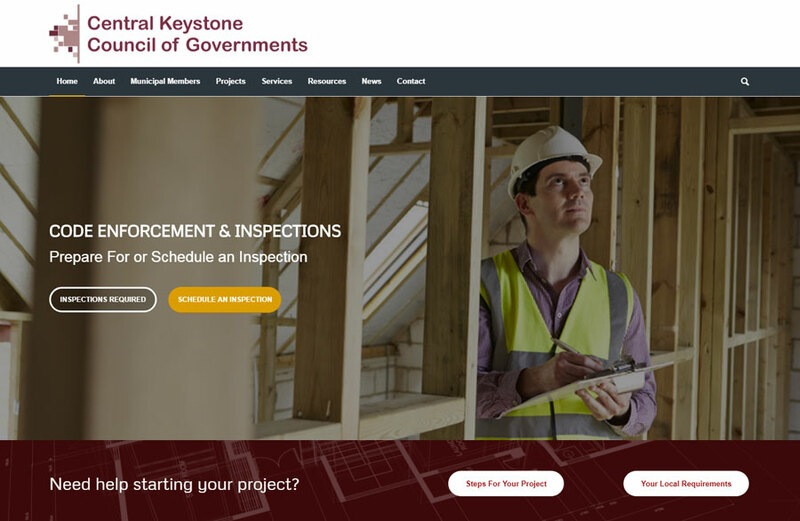 EJS developed a new ecommerce website for Golden Connections as well as a robust calendar and an eNewsletter template for use with MailChimp. 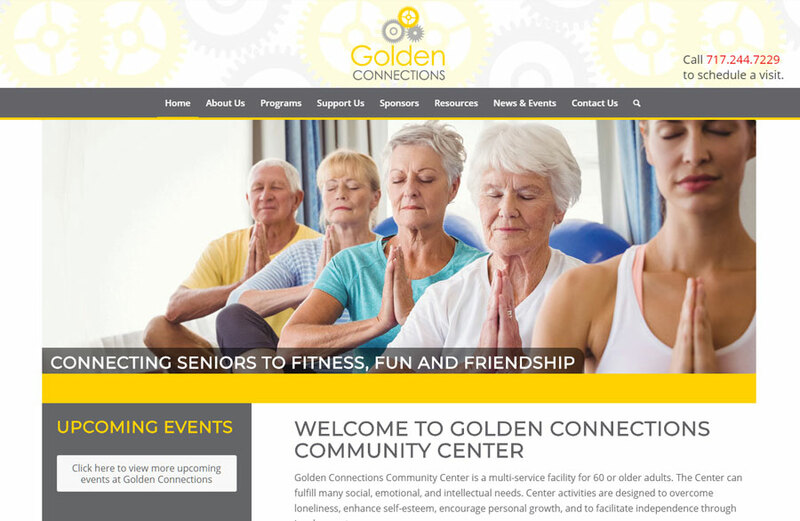 Visit https://www.gcccenter.com to see the full Golden Connections Community Center website designed and developed by Ethan Jacob Scott & Associates. EJS has been Tedd Wood’s marketing team for over 15 years. Tedd Wood’s website provides customers with visuals of all their cabinet options and a robust password protected dealer portal to keep all the dealers informed. 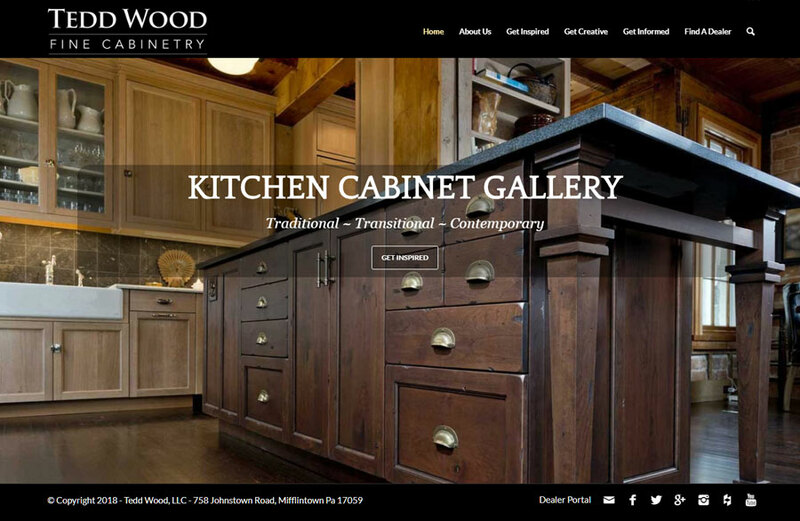 Visit https://www.teddwood.com to see the full Tedd Wood Fine Cabinetry website designed and developed by Ethan Jacob Scott & Associates.